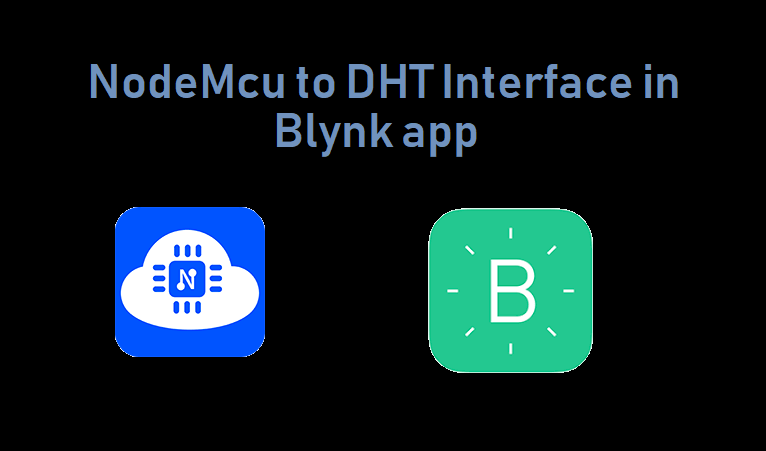 Hello Visitors, Today i show you how to interface DHT sensor Value in Blynk Apps use ESP8266 . NOTE – You got your AUTH TOKEN it send to your email address. Now Flash this code in ESP8266. Here Replace SSID, SSID PASSWORD and Auth TOKEN. You need to Some library. Download these library and extract it. Now open Arduino and go to File>Properties. Here you find path of Arduino. Now go to Arduino path and paste all extracted libraries folder in Libraries Folder. Select Board “Nodemcu 1.0” in Tool tab of Arduino IDE and Select right Port for Nodemcu. Now Flash this code given below. char auth = “AUTH TOKEN”; // replace with your auth token, You got your AUTH TOKEN it send to your email. // This function sends Arduino’s up time every second to Virtual Pin (5). // Please don’t send more that 10 values per second.